From far off you can see no detail, only the dance of energy and light. It is only possibilities from here. 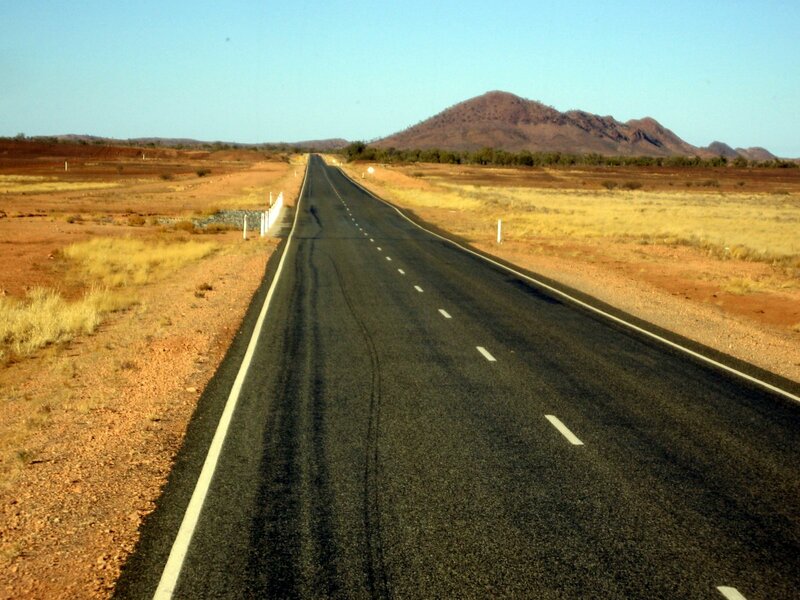 What lies ahead could be abundance, but it just as easily could be barren and naked, a vastness ready to consume you. From far off you are just that – far from your destination, far from what will encompass you. You are in your comfortable world still, one that holds certainty. But this world is finite. From far off you have no idea what is ahead. As you approach the endless horizon of the desert before you the hypnotic hum of your travels may seem familiar, even soothing. But you know that each moment brings the death of that which has passed. And that which is past will never be again. You may welcome death in this way as it is you that has ushered him in and it is you that has chosen this path. You may smile as you go into the light, but be assured that the light is that which you have not seen. You may even race toward this light having heard the tales and the promise of wisdom, but charging into the indefinable can be a hazardous path. The end of your voyage to this desert landscape reveals so much to you all in an instant. The finality and inconsequence of your approach becomes clear with the birth of your true journey. And that journey starts now, earnestly. 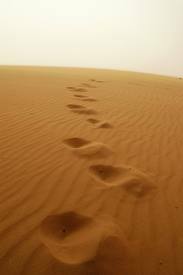 Your first footprints are those of a dancer, your celebration etched in words and song and dust. Your vision holds the future in all directions, but catches glimpses of the harsh realities that make survival indefinite. The blank canvass on which your map will be drawn suffers from your inexperience but sings of promise born of passion. Love resides here but fear visits frequently. And neither know borders. Like the sky and the hills, they run on boundlessly. Regardless of direction, your steps move with spirit and divulge new secrets. Details of your new home are exposed like lessons to an infant. Your eyes can see them but you can’t divine the purpose. Beauty and ugliness, cruelty and tenderness parade and lay together, blurring previously stark lines in your mind. Without patience and thought your surroundings would swallow you whole despite their alluring simplicity. Although you appear to be a giant among the fauna, you soon realize you are powerless. There is joy in that knowledge, though; in the surrender. Your voyage to your desert home tattered your clothes and your arrival stripped you bare. And you welcomed it. Your exposed self stings from the elemental reckoning and you were made fool so easily by the mirage promising solace as you approached, but your weariness is trivial. Reduced to nature, you rejoice. On now you tread. Life springs unbridled at your feet and seemingly everywhere you look. 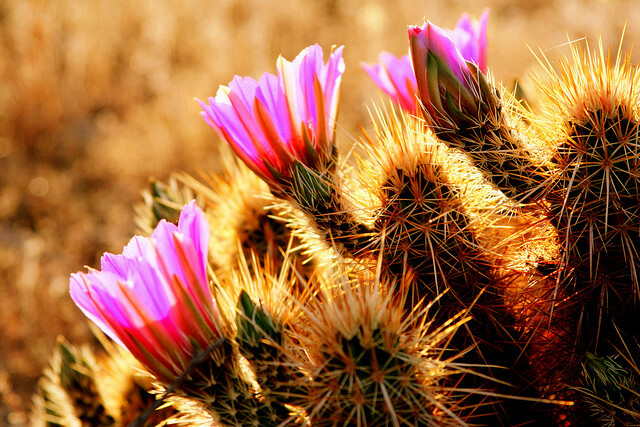 The disguise of a bleak landscape has been lifted and replaced with bright desert blooms. Though cautious and clumsy as you amble on, you have learned from your new home and your home has learned of you. Storms do come and thunder may roar but growth and evolution have supplanted the fear once caused by the rain and the noise. With a straightened spine you now watch as they come and gently help them pass. And they will pass. They may intrude for a time and you may shout at the heavens, but the sun will return to warm your face again. This warmth, you now know, is the eternal and that makes all the difference. This entry was posted in Uncategorized and tagged creative, desert, parenthood. Bookmark the permalink. I’m speechless. It is no small feat to leave me speechless. Beautiful comes to mind, but there are no words to describe the magnitude of beauty that this conveys. To write so thoroughly and sharply in metaphor is impressive. The desert is vast and it is beautiful; it can awe you and it can engulf you if you let it; it can boil you alive. . . thanks for writing about it with such creativity and connectedness. Sometimes I feel like I’m wandering in the desert myself. . . Thanks you so much, Dawn. ok, the recently posted one is NOT what I was referring to. Stay tuned….. It is indeed. Well said.